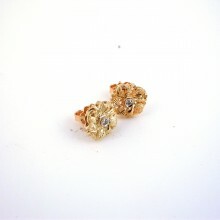 18 carat gold (kt), yellow gold, 3.20 grams (gr). 2 diamonds, 0.04 carat (G colour VVs clarity). Codex: Pps.ss.